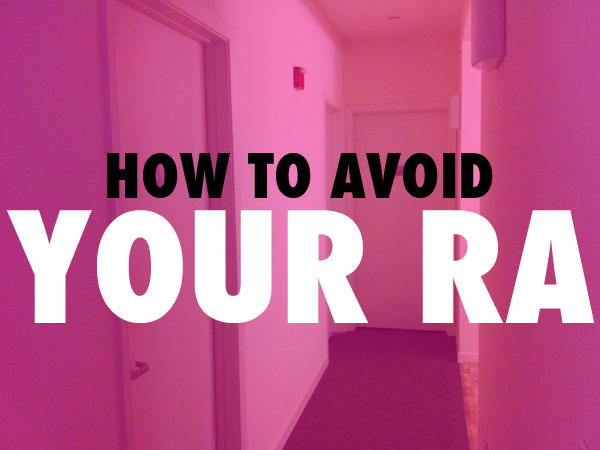 Extremely Bad Advice: How to Avoid Your R.A.
Let’s be real here: No one likes the residential assistant. R.A.s are raging, abominable hell-beasts birthed from the slimy, snot-filled underbelly of Mills College who are sent on a mission by THE DEVIL to ruin everyone’s fun with their cheery disposition and reminder emails. Do not trust the R.A.
They’ll try to lure you in with kindly-worded emails, happy greetings, and corny door decorations. However, be warned: they are NOT your friend. Sure they’ll act like it in the first hall meeting by creating an atmosphere of trust and camaraderie. But they’ll totally bust you the moment you step out of line and won’t let you get away with anything because they are buzz-kills of the highest caliber. They do their nightly rounds just looking to create inconvenience in your life and have a personal stake on you to fail out of college. Even when they’re not looking for anything and are just passing through, your day is still ruined. That’s why everyone gets so quiet when the R.A. walks by — even their aura stinks up the place. Not only is it crucial for you to avoid the R.A. but you should also know how to handle them when running into them is unavoidable. Rules are complete B.S. Treat them accordingly. Make a huge fuss when the R.A. writes you up for making too much noise during quiet hours, underage drinking, possessing drug paraphernalia, T.P.-ing the communal bathrooms, or smoking too close to the dormitories, even when those infractions are clearly listed in both the Student Handbook and on the poster of community rules hanging in your LLC. You are never in the wrong. As a matter of fact, the R.A. was probably the one who encouraged the real troublemakers to smoke weed right outside your window because that smell is definitely, totally not coming from inside of your room. Never go to any hall events or field trips the R.A. invited you on. 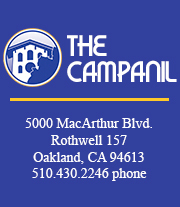 Who cares if this is your first year being at Mills and you don’t know the Bay Area very well and the reason why your R.A. invited you on an excursion to the Laurel was so you could learn how to use AC Transit, know where to hang out and where to buy your groceries nearby. You could totally do all of that by taking the shuttle all the way to Berkeley thus bypassing all of Oakland without making the conscious effort to get to know your neighborhood better. Don’t even bother sending out an email to let them know you can’t make it. The fact that your R.A. is even encouraging you to mingle with your other hall-mates is insulting and should not be tolerated. Be noncommittal as much as possible. Disorient the R.A. by never giving them a direct “yes” or “no” answer when they want you to come to the next hall meeting. The excuse “I’m sick” is totally legit, even when you’re actually healthy as a horse, and can help you get out of every obligation. It’s no wonder everyone else uses the same excuse at the last minute — because it WORKS. The moment you utter “I’m sick,” you’re off the hook, buddy. You don’t even need to actually act like you have the flu in front of your R.A. when they come to check up on you. Make it as hard as possible for your R.A. You should throw away all those fliers they slip under your door without a second glance, filter their emails to Spam, turn things in late, continue breaking rules, and be a general pain in the rear. They’ll express concern for you but they don’t mean it. Recruit others to your case. Make your fellow hall mates hate the R.A. as much as you do. Create an ongoing dialogue within your group by revisiting old grudges and constantly deriving negative subtext from your R.A.’s words. Yeah, sure, people say there’s only one truly awful R.A. for every 12 responsible and genuinely nice ones, but it’s better to generalize all R.A.s as terrible monsters. The moment you hear a hall-mate tell you “I think you’re being unreasonable,” figuratively slap some sense into them by literally slapping them across the face. They’ll thank you later. So, you’re trapped in an impossible scenario: the R.A. is walking towards you down the same hallway and there is no open window to jump out of or a couch you could dive behind. You need to head in that direction and they’re definitely not going to walk the other way. When they smile and say “Hi,” you should make shifty eyes, grin pathetically, and increase your speed like you’ve been caught redhanded. Let them know right away that you have the upper hand and you’re on to them. This is perhaps the most difficult step of all because there’s a high possibility you’ll accumulate late fees from missing hall meetings and ignoring important announcements. I know you don’t want to be a bad student but you’ll largely have to be responsible for yourself in getting the correct info in your quest to dodge the R.A. But honestly, which is worse: racking up expensive charges because you weren’t keeping up with deadlines the R.A. keeps telling you about, OR actually listening to the R.A. and acknowledging that they’re simply doing their job? Special thanks to a friend and residential assistant, who asked to remain anonymous, for giving me the basic lowdown on R.A. duties. Read the previous Extremely Bad Advice post: How to be that Creepy Guy on AC Transit.